After a less than ideal 2018 National Premier Leagues campaign, Gungahlin United are hunting for a top four finish this year. The North Canberra-based side finished the 2018 season in 6th position on the ladder, with a home and away record of four wins, four draws and eight losses. However, the 2019 season is one that is holding a lot of promise for Gungahlin, with the club hoping to return to finals football after a year outside the four. Gungahlin United Head Coach Marcial Munoz is confident his team can bounce straight back to the form that saw them finish in third position in 2017, following a frustrating 2018 season where the team failed to make the finals. “We’ve always looked at ourselves as a highly competitive club and the aim is always to push into the top four spots,” said Munoz. Gungahlin have recruited strategically to suit their needs for the upcoming season, raiding Canberra Olympic to sign Michael John, Bernard Rene and Torren Blanch, as well as Samuel Habtemariam from Belconnen United, Jeremy Habtemariam from Canberra FC and re-signing former player Josh Gaspari. Munoz has also put a big emphasis on the pathway to bring youth players up from within the club, promoting a number of players from Gungahlin’s Under 20’s program to the first team. “I’m a big believer in promoting youth and making sure that they’re given the opportunity to play in the first team environment,” he said. Munoz has a sent a clear message to his playing group this pre-season, in that first team selection isn’t guaranteed for any player and that good performances will be rewarded. United have had their fair share of player departures in the off-season too, with David Jenkins, Michael Rinaudo and Ben Basser-Silk all exiting to the Monaro Panthers, while Tom Krklec and Jason O’Dwyer have decided to move away from the game this year. Munoz believes creating an enjoyable environment at training and games by putting players in a position where they can constantly learn each day, will lead to a better retention rate of those players who will sometimes move clubs for a new opportunity or lose touch with the rigors of the highly competitive environment. “I emphasize the youth development component; every team should develop a pipeline of players from youth to first-grade, so you don’t get a continual exit and entry of players,” said Munoz. If Gungahlin United want to move up the ladder in 2019 they must find a new way to consistently score goals. Last season the side only managed 21 goals for the year – with a goal difference of minus four. The year before they didn’t fare much better, registering 32 goals with a neutral goal difference. “We have struggled in the last couple years to score a substantial amount of goals, hence the reason why we went out to recruit strikers in particular, to make sure we are far more effective in front of goal,” said Munoz. New signing John might just be the answer for Gungahlin in 2019. 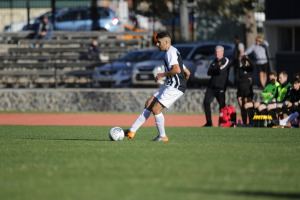 Last season for Canberra Olympic John scored 12 goals in 15 games, finishing third in the Men’s NPL Golden Boot award behind Thomas James and Nicolas Villafane. 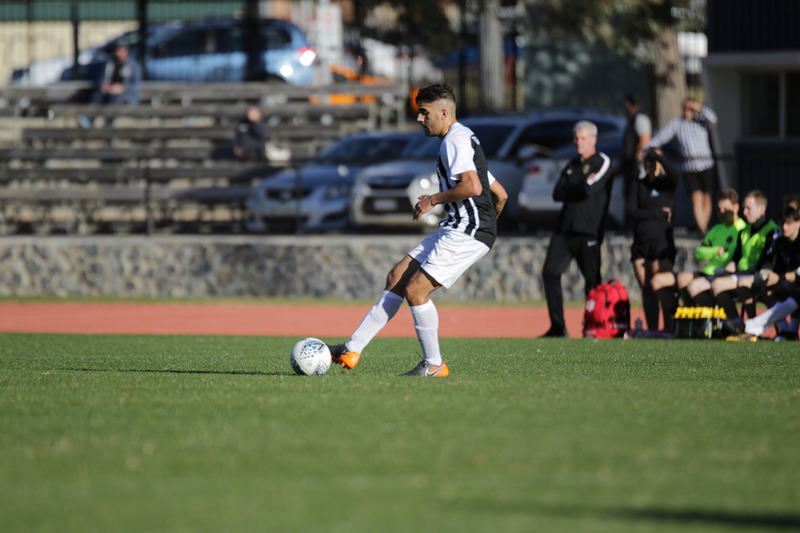 Munoz has faith that his side can fix the scoring woes and improve the team’s goal difference that has been plaguing Gungahlin for the last two seasons. “I have absolutely no doubt that they’re going to do a good job for us in that regard. We have the right mix of players up front who are hungrier and who have got more experience in the top flight,” he said. United have a bye for the first round of the season, giving them a break following the Charity Shield before facing Canberra Olympic in round two at O’Connor on the 14th April. “The bye bothers us a little bit, we would like to hit the ground running straightaway,” Munoz said. Munoz’s philosophy at United is built around a high-tempo gameplay and being constantly aggressive. “Our game style is pretty clear, we like to keep and play with the ball. We make sure we’re a really attacking team. I don’t like to sit back and wait for the opponent to come at us,” he said. The Gungahlin coach also wants his side to be clinical in-front of goal and to create more opportunities to score than their opponents. “We can’t go through long patches of the game trying to break defences down then getting hurt on counter attacks. When asked who the biggest threats are for the Men’s NPL title this year, Munoz couldn’t split the teams. “It’s going to be a very competitive league and a highly contested top four, and that’s a positive sign for the region and the players,”. The season will commence with a rematch of last season’s Final between Canberra FC and Canberra Olympic on Friday April 5th at Deakin Stadium.